In this post: Find our where to find art and craft supplies in Jeddah. A detailed list and review of shops and areas around Jeddah that cater to crafters. If you are looking for yarn, needles, paints, scrapbook or quilting supplies, etc. this post may help you. Our post Craft Shops in Jeddah has become our most popular post this year. 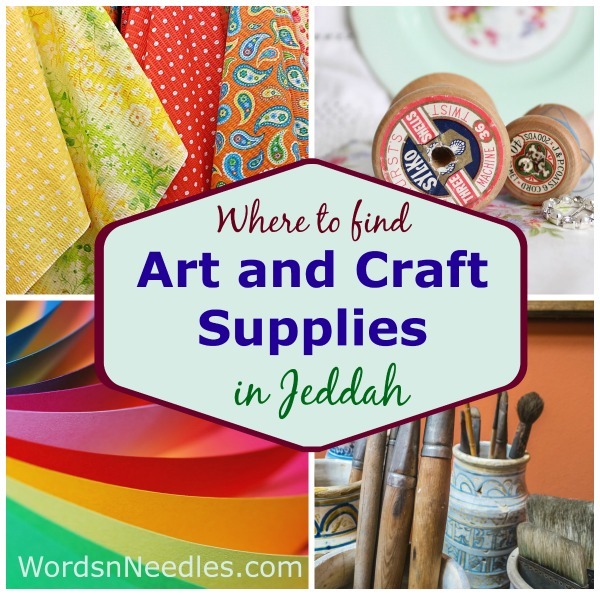 I have had quite a few readers write in asking about information on where to find more art and craft supplies in Jeddah that I think it is necessary to post another list. This week, I am writing a bigger list of all the places to find art and craft supplies in Jeddah. I hope this helps. This post is part of the ‘Where in Jeddah’ series. You may search for more articles in the series by clicking the tag. A lot of expatriates and newbies who move to Jeddah, have a hard time finding material for their crafty needs. Jeddah is a commercial capital of Saudi Arabia. In all my travels around the Kingdom, I must tell you, I have not found any city to be more resourceful than Jeddah. You can find everything here! You just need to know where to look. Sometimes, you may feel a little disheartened when you don’t find something but trust me, it is not because it is not available here… you just haven’t looked where you should be! One thing, I would like to point out, is that this list will never be complete because Jeddah is a big city and there are things brought in all the time and new places starting and old ones closing down. This list is just my experience of where I have seen what. Although I try to keep it updated but sometimes I may just not be aware if there are changes to a location or the items they have. That said, I would also like to add that I have only searched for places that are closer to me and where I frequent. There are many places that I have never been to, like South Jeddah for example. My advice to anyone searching for craft supplies is that you should always start from near you or somewhere where there are like minded people. The locals are usually very friendly and I have often asked my Saudi friends and they usually knew where to direct me. Expatriates who have been living here longer know too. So ask around you first. There are many Jeddah Facebook groups too. Somebody will surely answer you. We are talking about crafts supplies today. Crafts like crochet, knitting, tatting, macramé, scrapbooking, beading and jewellery making, quilting, embroidery and sewing, General arts and crafts, pottery and preschool needs. Here is a rough list of places I frequent. I am giving a rough idea of what these shops contain but you may have to check if they have it in stock or not and what else they may have. Your local stationary: I always start my search for my crafty needs with the closest stationary available. Petty things like glue, cards, stickers, all sizes and colors of paints and crayons are easily available at a stationary. You can find school quality yarn, needles and hooks and beads too. Some stationaries have professional artist material also. It depends on who visits them and what size they are basically. For example, if ladies have been going there asking for felt and yarn, they keep those too. So basically, start here and any place you see more than one stationary in the area be sure you will get more variety and a good bargain for your price. Jarir Book Store: Jarir has a few branches around the city. They also have an online site and a facebook page. They are better known for their office supplies, books and latest technology. But they also have craft materials and toys. Not all the Jarir shops are alike. They all have different supplies and they are arranged a bit differently too. You won’t notice these changes unless you have been to a few of them and have taken note. One place that has all of their stuff is the Sari street branch although you may find that one branch has a better stock of books or technology than the other. At Jarir, you can find all kinds of artist quality paints, modeling clay and tools, lots of different sort of paper and craft material. They also have books and magazines. Although these may not be available as regular issues but you can find some sometimes. Please note that the stock that they have in ‘Craft supplies’ on ground level is not all they have. They have a ‘School needs’ section upstairs where you will find more material. Mirza Library: Next door to the Palestine Street Jarir, is the Mirza Library. For years, it had no windows and most people didn’t know what to find there. A year or so ago, they renovated to become more inviting. When they opened, I was surprised to know they were such a treasure house of craftiness! A lot of art and craft stuff there with woodwork and tools too. They have some really good collection of canvas and aisles that I have seen. Some yarn and knitting and crochet stuff too. It is a big shop and really worth exploring. Maktaba al Ghumri: On Palestine Street again, next door to the Marriott is a little stationary. I have written more about it in my previous post and you can read that for details but I have to tell you, this is my favorite little shop! They have looms too among other things. You can find everything from paints, canvases, yarn (DMC and Chunky wools too! ), Aida cloth, looms to office supplies. A small shop but they usually have everything whenever I go there. Debbie’s quilting studio: On Madina road, near the maternity hospital is Debbie’s Quilting Studio. She has quilting supplies and she conducts quilting classes too. You can contact her for directions and details on her Facebook page or her website. Macarona Street Bridal Market: Macarona street is on the right between Madina road and Amir Majed Street when you are traveling west in Palestine street. This is the place for all things ladies. It is well known for its abaya and salon supplies but you can also find lace shops here. They have some really good bridal and tailoring material there. You can find nice buttons and beads too. I have heard there is a shop called Al Esayii that has lots of craft supplies. You can expect tailoring and sewing sorts of stuff here. Amir Majed Street: You can find lots of stationaries that sell wholesale and retail on either side of this road. The shops start somewhere after you turn left from Palestine street that is heading East. (You may have to exit the underpass). Amongst these shops are those that have scrapbooking card too. You may have to buy whole sale but do ask them if they sell retail. Some do sell retail, even though the shop says otherwise. Al- Motthallath or The Triangle: This is a preschool supplies shop on Palestine street that has really good whole sale only craft supplies. They have stuff that I have thought I’d have to order online. I have only bought crafty stuff for my kids from here but they are huge so go check them out. Early Learning Center: For preschool related craft materials like tempera paints for example. It drove me crazy that I couldn’t find them for my kids until I found them here. Early learning center shops are all over town. Most malls have an outlet but they have a bigger showroom on Tahlia Street. Fanteer: They are basically toys but they have Montessori stuff too. I know they shouldn’t be in this list of craftiness but well… Tempera paints..? 🙂 Fanateer have quite a few outlets too. I have written about all the places to find yarn in my previous post and I will just list the places here but for details please check that post too. Hindawiyyah District: You can find all types of yarn (cotton, wool, fancy stuff, embroidery skeins, all kinds), beading accessories, tailoring material, a huge collection of lace, some craft supplies like nylon flowers and party decorations as well as decorative packaging, scrapbooking supplies, jewelry making stuff, macramé cords in all sizes… everything and anything! This is a big market. If you know where to go you are in for some good shopping. Basically, you are looking for Souq al Khiyata (Tailoring Market). Click here for directions on google maps. Ballad: You never know what you will find in Ballad. Not scrapbooking and quilting but lace and beads yes. But again, Ballad is a huge area and there are so many malls and old shops so well… you will just have to explore. The main reason why I am listing this is because on Dahab Street is where you will find sewing machines and accessories. Sultan Mall: Please read about Arts and Craft store in my other post. I have written about them in much detail already. You will find crochet and knitting yarns there along with a few (very costly!) buttons and beads. Hera International Market: Again, I have talked about this little shop in the older post. They have yarn, crochet, knitting, hairpin lace, tatting and other type of lace. Best known for their fancy yarns. Ana Special Mall: I have heard there is a good shop on the top floor. I haven’t been there myself but I have heard good things about them. These are some of the places that I know where you can find art and craft supplies in Jeddah. If you know of anymore places that you think I should include in this list, you can contact me via my Facebook Page. Let me know if you have been to these places. I’d love to hear from you. jazakillah khayr! been in jeddah for a couple of years now and have been looking for affordable ways to keep myself busy, i knew about the shops in macarona though i never purchased any craft stuff but may visit soon for laces. i saw a few shops in malls but they all looked very costly 🙁 so i stayed away. your post is very helpful, cant wait to bribe dearest husband somehow and visit some of these places 😀 not very clued up on how to follow blogs but will sign up for the newsletter in sha Allah, cant wait to explore yours! Thank You Zainub! Yes it is a good idea to follow our newsletter. I am glad you found the list helpful! Hello! Jarir Bookstore or Tihama Bookstore would be my go to. You can try Mirza Library on Falasteen street (next to Jarir) too. can i get any wooden peices from jarir? …. example for foto printing and all???? Umm… that’s so many queries… ? I recently saw white board and blackboard paint at Homeworks at Nas Town Madinah road, next door to Danube. What is the address for the Al- Motthallath location. I’ve been looking for it everywhere and I can’t find it. Thanks! Mothalat is opposite Jarir on Falasteen Street. Not exactly opposite but approximately in that line. It is a big shop hard to miss. Hello. I have been trying to search giant chunky yarns, do you have any idea where can i get them? Hi Ghana, most yarn shops have t-shirt yarn these days but chunky isn’t that common. I used to find it at Maktaba Ghumri on Falasteen street but haven’t checked recently. Please join Jeddah Crafters Club on Facebook . I’m sure someone there will be able to guide you. I think we’ll have to ask around for genuine leather but I am sure it is available here. There are some shops in old Jeddah where they make leather stuff, I guess they’d be able to guide. 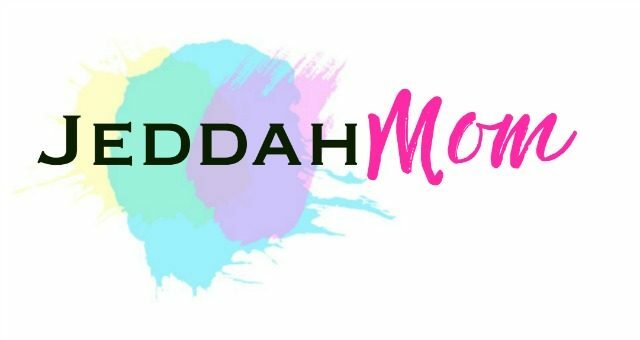 Have you joined the Jeddah Crafter’s Club on Facebook? Someone may be able to guide you better in there. Ana Special Mall, no yarn shops found only birthday party materials in one of the shops. At Hindawiyyah the prices were wholesale for yarns and sewing materials, but we were looking for chunky or Bulky yarn and were unsuccessful as only T-shirt yarns were available in this market. Do you know were chunky yarns or bulky yarn for making a throw blanket can be found in Jeddah? Chandni, Did you try the Arts n Crafts shop in Salam Mall? A reader mentioned in our crafts group that she found some there.